Home » The History Of Wavelength; Europe’s Longest Running Surfing Magazine. Part One. 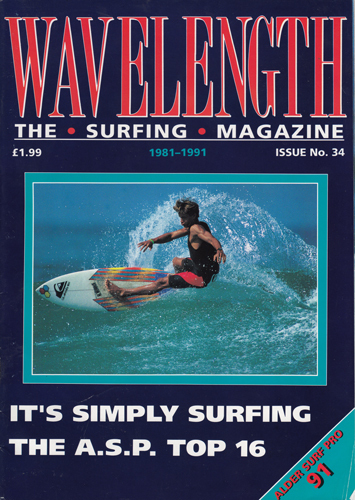 The History Of Wavelength; Europe’s Longest Running Surfing Magazine. Part One. Part one of the long and tumultuous 36 year history of Wavelength; Europe's longest running surf magazine. You’d have to be crazy to start, work for, or own a surf mag. It is a thankless task, and one that is hellishly hard to actually make money from. But people do it. For the love, for a little money, and to get fellow surfers stoked. Wavelength, in particular, has been a roller coaster. If I could recount every classic story around its survival, we’d fill a mag. But, whilst its history has been up and down, it has done a couple of vital things: it spawned a surf media industry in this country, it created and gave opportunities to numerous photographers, it gave people hours of reading, and it gave birth to and supported professional surfing in Britain. All of this was down to one man’s vision: John Conway. John was photographing surfing by the mid-seventies, contributing to skate and early surf mags, like Atlantic Surfer. As well as surfing and shaping, he had a real passion for British surfing, a love that was truly ignited on a trip to Australia in 1981. There, he shot the fledgling world tour, and using the contacts he had hatched a plan to bring it to the UK. Most people would have gone away with a dream, and that’s what it would stay for them, but not John. He got the sponsors – Gul and Alder – and through his contacts in Australia added Newquay to the contest circuit. Now, this may not seem like much. We’ve all grown up with the Boardmasters, but John made it happen. His vision brought the likes of Shaun Tomson and Rabbit Bartholomew, the superstars of world surfing at the time, to Fistral. It all sounds so simple, but when 5000 Wavelengths arrived at Geoff’s house a week before the contest, the reality hit home. 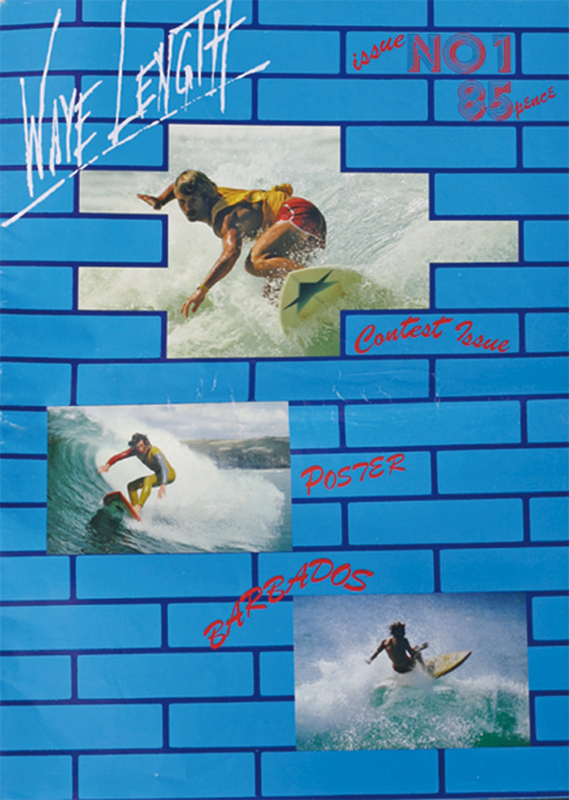 The boys wanted to launch a proper mag with the look and standard of Tracks (Australia’s self-proclaimed surfing bible), which is why Wavelength had the same format for the first two issues. Geoff continues: “We wanted the format of Tracks but with full colour plates. The boys found a businessman to back them for that first run and went steaming ahead. But where did the name come from? “We just threw some names out there, Wavelength was the favourite, and it stuck” says Geoff. “The original font was something we just played about with and stretched. The wall on the cover was totally inspired by Pink Floyd”. “It was a lot of magazines all in my garage, but with the contest in town, it was the perfect place to launch it”. John and Geoff basically took over the first contest and used it as the launch party for the new magazine – despite the fact that the contest sponsors, Alder, owned Surf Scene (one of two other British surf mags at the time). The contest site and the whole of Newquay was awash with ‘The ‘Length’, and with John as contest director he made sure it was a very high profile launch. It also helped that his wife’s family owned Sailor’s pub and club in town meaning that the post contest parties also got turned into Wavelength parties. It was a smart and very opportunist moment, and one that sent Wavelength on the road to success. All this time, Geoff and John were close; sharing a water-housing, shooting whenever they could for Wavelength, as well as for Tracks in Australia. However, after issue four, Geoff had to leave. It was time to get a job and a wage. He has never stopped taking shots though, and he can still be found on the beaches around Cornwall, shooting whenever there is swell. The ‘80s saw the mag go from strength to strength; no other British mag could touch Wavelength, and its quarterly frequency meant that John could hit the road in between issues to gather material. Wavelength, though, wasn’t just a magazine for a magazine’s sake. It also, with John’s vision, became a door by which young British surfers could step up a level into those first tentative steps of professionalism. One of these young surfers was Grishka Roberts. Grish was one of many young surfers who benefited from Wavelength, surfers that were now being pushed into the limelight and starting to pick up sponsors. With the best British surfers, as well as John’s shots, Wavelength continued to grow. It went bi-monthly as it charged into the ‘90s, and would eventually become a monthly mag some years later. By the late ‘80s, John had managed to get full national distribution, meaning it was the only surf mag you could find all across the country. 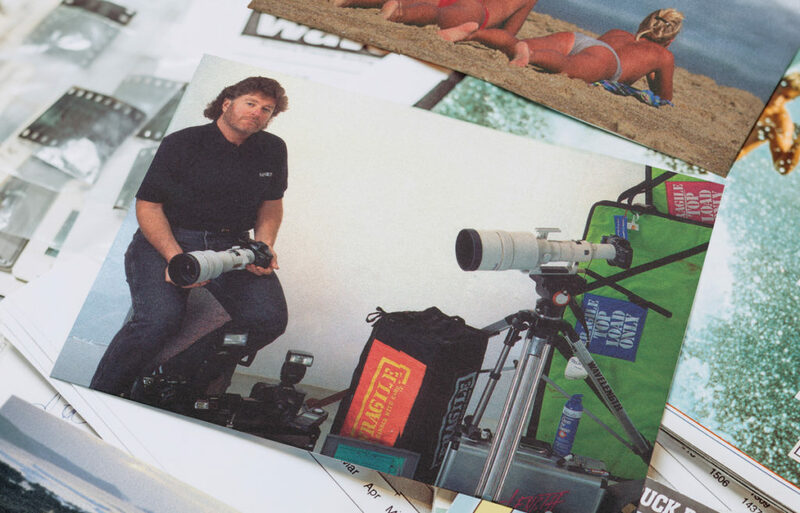 One of the magazine’s strengths was that, although John remained at the helm for two decades, he surrounded himself with up-and-coming writers, business men, and photographers, many of whom went on to great things within surfing, whether it was in photography, journalism, or the industry its self. This allowed the magazine to continuously evolve and improve whilst John continued to shoot and create content. However, as the ‘90s progressed, Wavelength’s all conquering dominance was about to be challenged. This is what a wettie shoot looked like back in the 80’s and this is the most SFW of the lot. Wavelength was consistent in its quality, but surfing was changing: travel and adventure were taking over from the contest scene that John especially pushed in those early mags. It was obvious that Chris Power, who had shot for Wavelength, had seen this, and he joined forces with Orca Publications to launch Carve. It was the first real challenge to Wavelength’s dominance, and it injected a certain humour and style that was more akin to men’s mags than surf mags. It was a hit too. And so, the biggest rivalry in British surfing had begun. Through the late ‘90s, the likes of Jim Michel and Pete Adams joined the magazine, strong writers and photographers who both injected fresh ideas. John also gave many up-and-coming freelancers a chance, and to this day well over half of British photographers got their first break in The ‘Length. Despite all of this, the overall feel didn’t really shift enough, and with a third magazine now out, The Surfer’s Path, the market place became really competitive. It was a tough time, and John, who was already known as a bit of a lovable rogue, had his work cut out to keep it going. This came at the expense of a number of print bills; it got so bad that at one point, Wavelength had to be printed in Holland as no one would touch it in the UK because so many printer payments had been dodged. Not a good situation to be in. By the turn of the Millennium, surfing was becoming bigger and bigger, and the magazine was still going despite increasing levels of competition. John had continued with a talented team around him, including his son Ben, as well as Remi Whiting and Ben Granata, both up-and-coming photographers. Sadly though, those early days of the new Millennium were to be the darkest for The ‘Length.